Atheodox Jew: Alternative Medicine, Torah, and Intellectual "Borer"
Michael - right, case "in" point. Thanks. But "took" and not "brought"? Lee - that approach is just one of the "seventy faces of atheism." Thank you for another entry AJ. ABENAH - Great makor. I'm mekabel. I can't help but notice that you didn't address the specific arguments I cited re: the Ktav Ivri/Ashuri debate, except to say that Prof. Schniedewind mentions "assumptions" that he brings to the linguistic data. Which sounds like you're using this as license to then ignore/invalidate anything he - or academic scholarship - says on the issue. So I'd like to press you a bit on this point. 2) Do you think Prof. Schniedewind would agree with what you're saying, that it's his "bias" which leads him to make the conclusions he does, that there's no real evidence here, or that it's just a question of "interpretation," and really there's just as much chance that Ktav Ashuri is the "original" writing? If not, it's not exactly fair to quote him in the sense that you're implying. 3) What do you do in this case with evidence (e.g. that Ktav Ashuri looks to have evolved, that Ktav Ivri was considered for a time to be "holier," etc.) that seems to go against your thesis? Does it impact your thinking at all? 4) What evidence would you have to be shown to change your mind on this issue? I am 100% ready and willing to change my mind if you would present evidence that was equally compelling, or at the very least something apart from pure conjecture. Personally, I'm fine either way - I don't need Ktav Ashuri to "be" or "not be" the original script. Though, truth be told, I'd prefer if it was the original script. Yes - I fully admit I'd like that. If anything, my bias is *toward* the tradition, not against it. But I'm not so committed that the tradition has to be "right" that I'm willing to ignore, bury, or otherwise "explain away" evidence that clearly points in another direction. And I think that's the difference between us. I get the very distinct impression that for you, the tradition HAS to be right, by hook or by crook, in ALL cases - otherwise the whole enterprise of Torah is somehow worthless, invalid. For me, "lav davka." Where it's right - give it that credit. But to give it credit when it's NOT right only serves to cheapen the tradition - as well as the idea of truth. 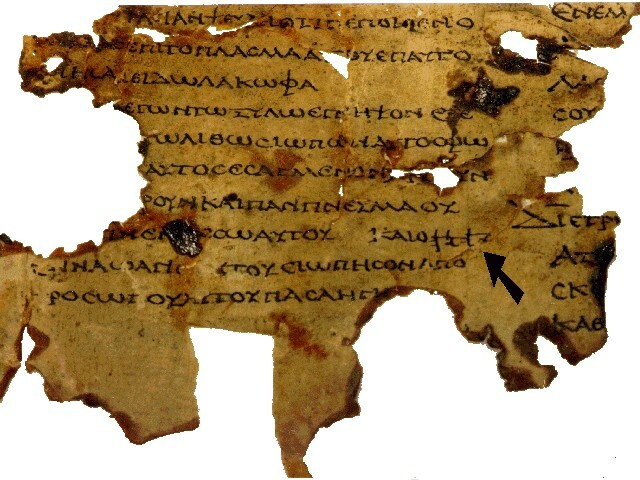 1) The context was concerning the difficulty in dating Biblical books (due to lack of clarity and consensus regarding the linguistic issues). 2) No clue, but he seems pretty honest about the limitations of the exploration he's doing. Here's a quote from the article you sent me: "I also need to acknowledge the limitations of our evidence. To begin with, we are working with very limited data." He often qualifies his findings in this way. The whole enterprise is built on shaky ground IMHO. 3) It doesn't much look to me that it evolved. I looked at Joseph Naveh's book on the origins of alphabets and could not see that it grew out of what was around at the time. 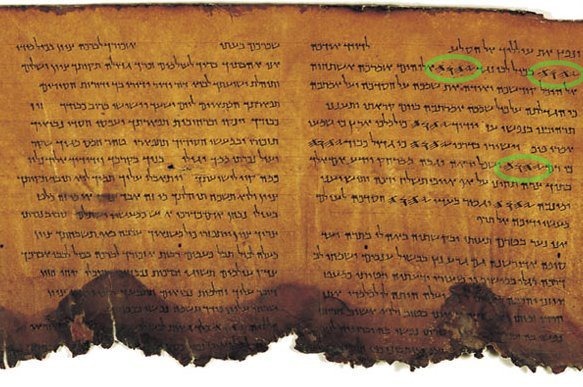 4) A well-known and credible Jewish source that admitted that there was no ancient script that was preserved only for Holy purposes and that all of the interpretation of that script was invented out of whole cloth by the rabbis. 4) "A well-known and credible Jewish source..." In other words, no amount of archaeological evidence, even if it came by the cartload, would convince you that Ktav Ivri was older, that Ktav Ashuri was adopted in exile, or that the letter forms of Ktav Ashuri evolved over time. This is perhaps the most significant thing you've said in any of our back-and-forth discussions. "Evidence" is not a part of how you formulate your beliefs. What you believe, insofar as anything related to Judaism, is informed solely and exclusively by what comes out of the tradition, from the mouths of the Sages. That is honest. I appreciate you saying that. Because now we have some clarity. There is really no point in discussing any issue, whether it relates to the Divine revelation of the Torah, or the nature/origin of the Hebrew alphabet, EXCEPT from the standpoint of the opinions of the Sages on these matters. When you cite insufficient evidence, what you're saying really is that ANY evidence is insufficient. Evidence, when it corroborates your beliefs, is something that you can use to strengthen your Emunah, but that's the extent of its utility. I am a fan of clarity - and that is VERY clear. I might conclude from this that it's pointless for me to ever bring evidence to these discussions. But I assume that many of your readers don't share your position. Many would change their mind based on evidence, even if a "credible Jewish source" didn't say it. So if we discuss this or other issues again, I'll continue to cite evidence, at least for their sake. I also want to add that I'm not mocking such a position. I appreciate the idea of staying true to one's faith, and I understand that people operate using different paradigms of knowledge acquisition. "Revealed" knowledge (the religious paradigm) is a different animal than "discovered" knowledge (the scientific paradigm). For me personally, the former is far too rigid, not how I prefer to relate to knowledge. My only criticism would be that if you ultimately don't accept evidence as your decisive criteria, better just to say that up front and not speak as if you are. What I suggested before is now confirmed - Rabbi Jacobs is not intellectually honest. In typical fundamentalist operation - one iota of data that that can be coerced to fit their paradigm is magnified into a mountain, while an actual mountain of data against their paradigm is turned into an ant hill. AJ - maybe you could help me to understand what is so compelling in what Prof Schniedewind is offering. The paper you sent seems to outline my point - that there was a Hebrew script used for holy purposes that in his words "seem almost frozen in time" and another for secular purposes that underwent development over time. What is the great evidence I'm supposed to be so compelled by? Also, you asked me what I would find compelling in THIS case. I didn't intend for that to be applied across the board and although I admit my bias I'd like to think that I would also be open to convincing evidence - which I don't see here. I have tried to post material at the Rabbi's site and have a conversation with him. He is not intellectually honest. And he may post one thing I say and ignore others. Not respond to my arguments... it is very frustrating having discussions with fundamentalists. I can't say why he didn't post or address some of your comments. But in this case, he wrote a post about me, so I give Rabbi Jacobs the benefit of integrity that he'd give me the chance to respond. Besides, it's still less than a day ago that I submitted my comment. I'm sure he'll post it when he has the chance. Do not hold your breath. I recall the Kuzari discussion you (and I) refute all Rabbi Jacobs arguments and he just walks way. I am not sure he is capable of intellectual honesty.